Single- and multi-family properties continued to be the preferred type of property bought (78%) and sold (71%). And because rental revenue is often a goal of real estate investors, the report also contains insights into the national rental market, courtesy of Zillow. You can use a Traditional or Roth self-directed IRA to invest in real estate, and most clients choose one of those two vehicles. 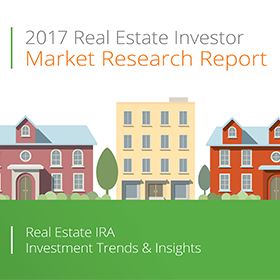 Although in 2016, we noticed a growing number of clients using individual 401(k) accounts for their real estate investments.